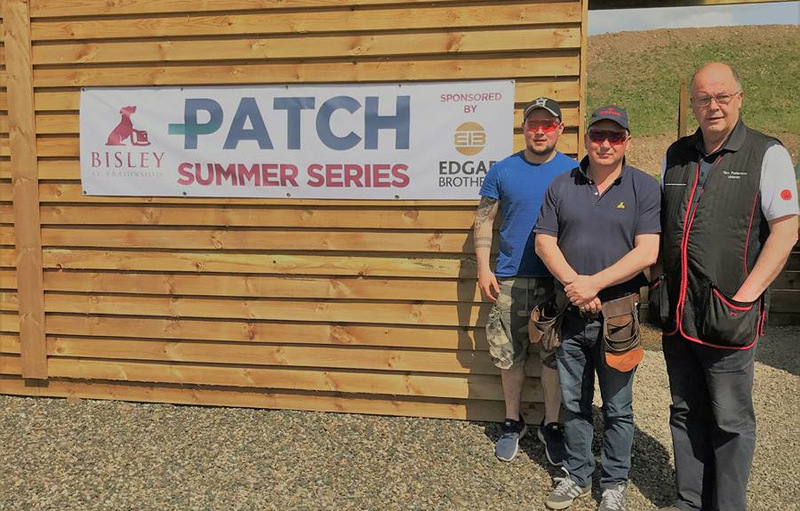 The Bisley at Braidwood clay pigeon shooting ground team join PATCH in launching a summer competition running until October. News release – On Saturday 12th May the first PATCH Summer Series competition was launched at the Bisley at Braidwood clay pigeon shooting ground at Midlem. This new partnership venture between the charity PATCH (Palliation and the Caring Hospital) and the Bisley at Braidwood team will run throughout the summer culminating in the award of the top high gun prize in October. A proportion of the entry fee for all the events in the series will be donated to support the work of the charity. PATCH is dedicated to providing the stimulus, funding and experience to increase the availability of palliative care services across Scotland. Since its establishment in 2013 it has supported a diverse range of projects in the fields of education and training and research, development and innovation. In partnership with NHS Borders PATCH has funded the development of enhanced nursing skills to deliver palliative and end of life care. Twelve nurses have attended the course to date with further courses planned for this year.